Back in November I made these adorable little mini ruffled wreaths. I absolutely have fallen in love with them. I love the texture it added to the chalkboard that I update with a new message for each holiday or event. 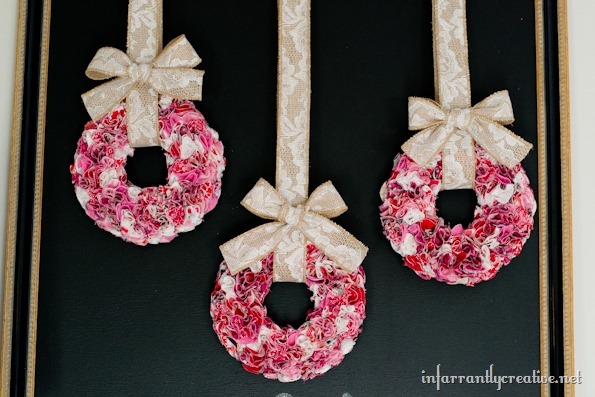 I decided to make a Valentine’s Day trio of the mini ruffle wreaths with scraps of pink, red and white fabric in my stash.